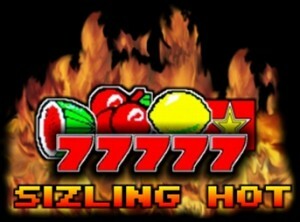 Winning more at the Sizzling Hot Slot is the dream of every new slots player. There are no hidden or secret methods or formulas for guaranteed winning but there are a few steps and strategies that can increase the chances of winning. Sources offering so-called cheats or winning systems are all misleading. Due to the high-security online sites must have in order to gain the trust of players with real money leaves no space for cheating or outsmarting. In fact, most things that occur at an online slot are predetermined by RNG or random number generators. The slot machines cannot be manipulated, like for example, land-based slot machines used to be with magnets. So how to win more without formulas and cheats you may ask? The answer is simple, by being smart. There are in fact very few things a player can influence while playing on an online slot machine. However, there are a whole set of things that happen BEFORE playing on the machine that can be influenced by the player. The very first thing is the place. Choosing where to play online slots can be a crucial factor and should not be taken lightly. A site with a good reputation and many positive reviews from real players can say a lot. If a slot portal operates in a transparent and legit way it will usually pick up popularity as a trustworthy source in players circles. These are the sites to look for, where outcomes are not manipulated. Bonuses and promotions can increase the bankroll. Bankroll is the total available money for gambling purposes, in this case, slots like the Deluxe Sizzling Hot. The logic behind it is simple, higher bankroll equal more opportunities. And this is true to some extent. A bonus can be beneficial and increase the bankroll thus allow more wins. The downside is that bonuses very often come with attached wagering requirements. In a recent article, we talked about no wager slots and where they are available. Effective betting strategy. This is perhaps the most important. Knowing your limits and plan a strategy based on it. For example, a player having a 1000 total bankroll should not use 50 per spin betting strategy if aiming for the long-term win. According to experts, for slot games, the best bet strategy is to split up the money by the number of days we wish to play. Let's say we want to play for 7 days with the above mentioned 1000 bankroll. Divided by 7 that gives 142 to play with. The given 142 credits can allow 142 spins on 1 bet. However, slot experts say that a session should consist of 200 to 300 spins. This means a 0.50 total bet per spin is allowed by the bankroll. Yes, the 0.50 per spin is indeed low number but this is what the 1000 total available bankroll allows split up to cover 7 days worth of plays.